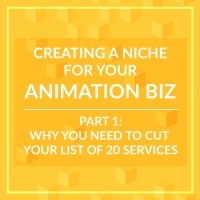 In the previous post we discussed the “why” of niching down your creative services. Today, let’s discuss the more practical side of specializing what you do. Let’s look at how you can find your niche and build a successful business. Your niche is an intersection between your passion, your expertise and a market need. This intersection is your “sweet spot” and is going to take some work to discover. And here’s another truth: this "niching" process never ends. This year in particular I’m feeling rather reflective. 2016 marks my 5th year of running a creative business. This milestone has caused me to stop and think about how far I’ve come. 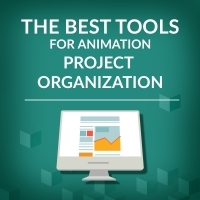 I’ve learned a ton about business, animation and myself. 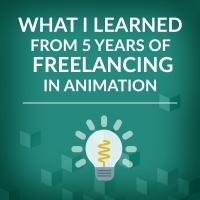 In this post, I’d like to share a few of the biggest lessons learned from freelancing my animation services for the last 5 years. Getting a professional, high quality voiceover is a critical part of a successful animated promotional video. 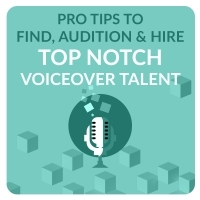 But it may seem intimidating if you don’t know where to start - which is why I’m sharing some tips I’ve learned over the past few years about working with top notch voice talent.